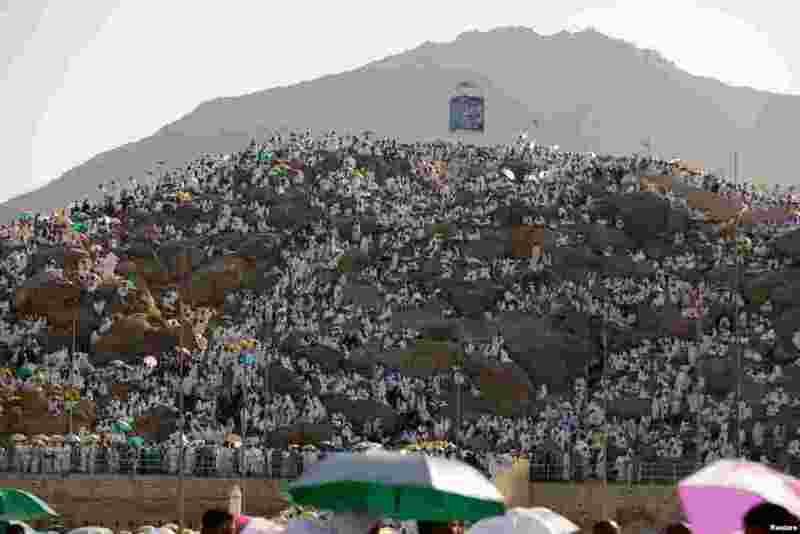 1 Muslim pilgrims gather on Mount Mercy on the plains of Arafat during the annual haj pilgrimage, outside the holy city of Mecca, Saudi Arabia. 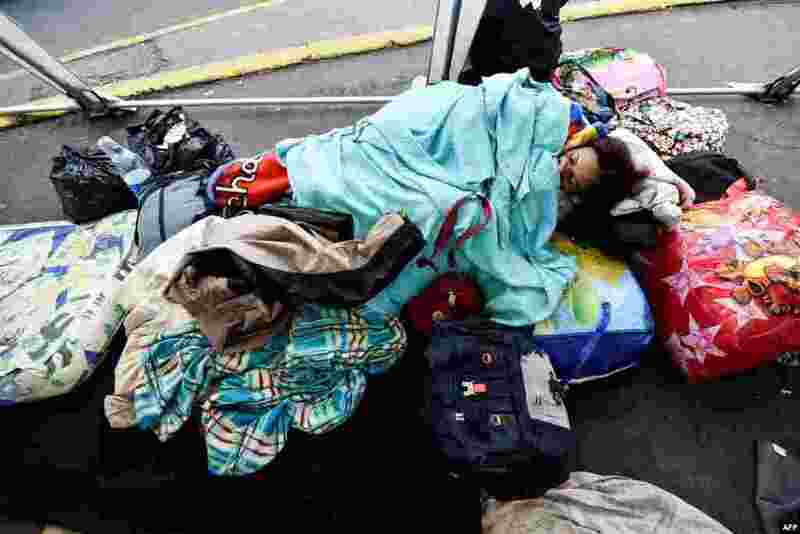 2 A Venezuelan migrant rests outside the Ecuadorean migrations office at the Rumichaca International Bridge, in the border between Tulcan, Ecuador, and Ipiales, Colombia. 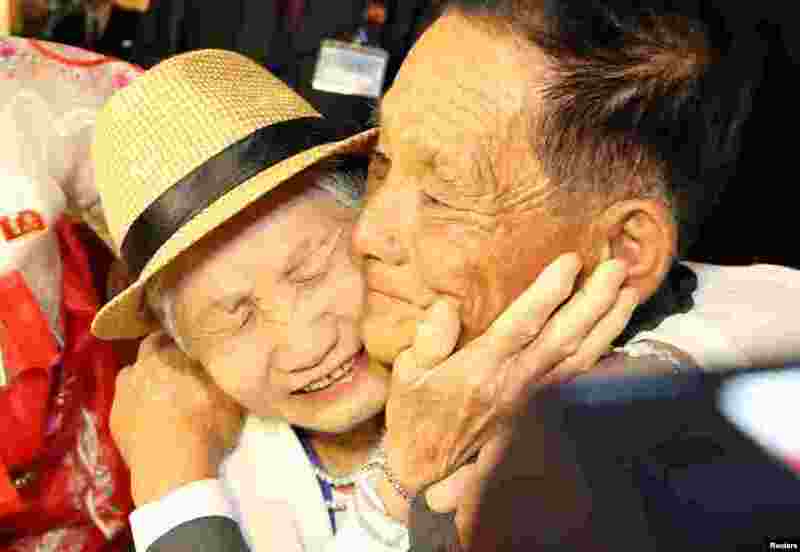 3 North and South Korean family members meet during a reunion at North Korea's Mount Kumgang resort, near the demilitarized zone (DMZ) separating the two Koreas, North Korea. 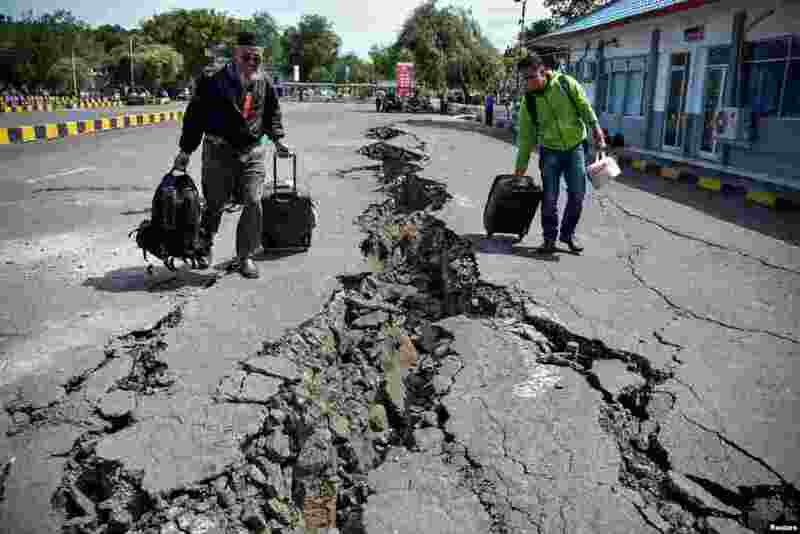 4 People walk on a road damaged by yesterday's large earthquake at Kayangan Port in Lombok, Indonesia, in this photo taken by Antara Foto.